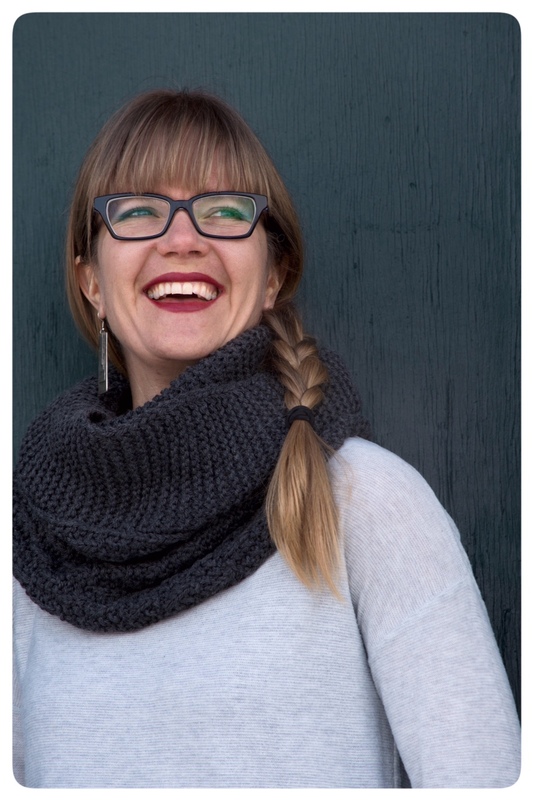 A deep, warm cowl which features a simple, reversible texture pattern separated from a garter stitch section by a crisp line. It has a tidy slip-stitch edging and a nearly invisible join to keep wearing it effortlessly stylish.The cowl is knit side-to-side and the ends are grafted together. Full instructions for grafting in garter stitch are given in the pattern. 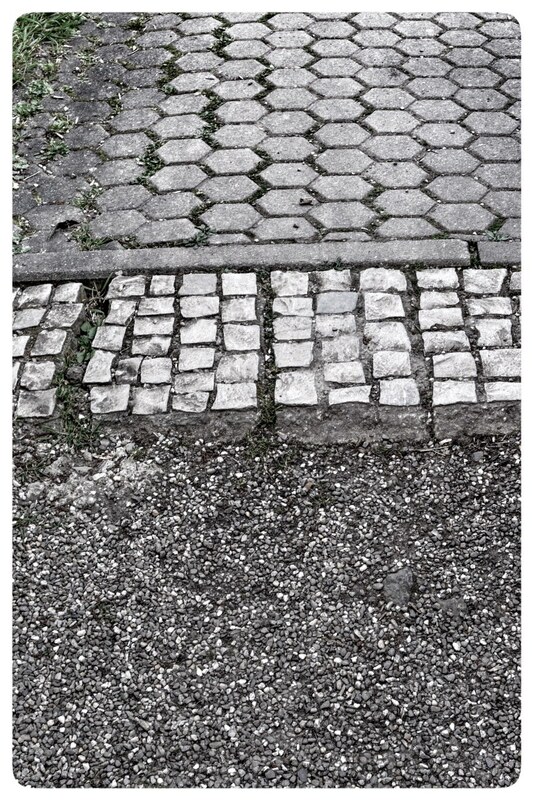 When I travel, I love to watch the textures of the landscape change. My eye is set to macro – I’ll miss a cathedral because I’m looking at brickwork. 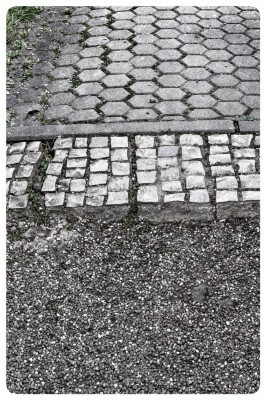 I especially love it when textures meet or overlap. 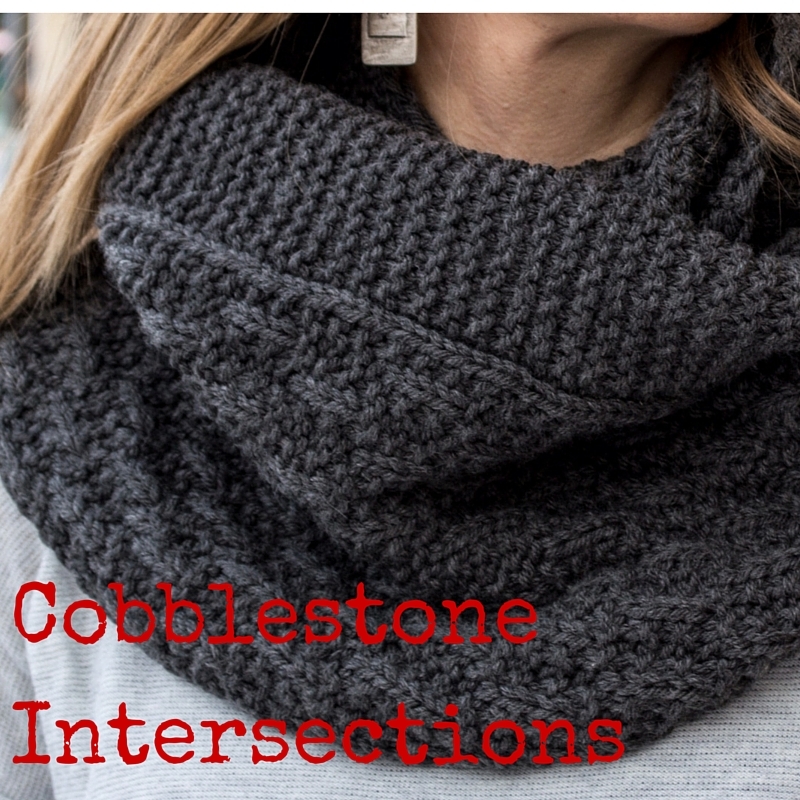 Germany’s sidewalks inspired this cowl: the way that rough cobblestone can be found next to bricks and intersected by a line of concrete.